Why Have A Vacation When You Can Have A Medcation? Whoa… You Who Thinks Your Health Insurance Covers Everything, Not So Fast – Even if you have health insurance, you need to pay attention to the cost of a hip replacement as you will incur deductible and co-payment fees. For the most part you can’t control hospital nor physician costs as they are predetermined by your insurance carrier. > How many hospital stay days are covered for under my surgery diagnosis? > What will be my copay amount for the surgery? > Is there a cap on the total amount the insurance carrier will pay for my surgery? > What is my deductible for all aspects of my surgery (i.e. hospital, physician services)? > Are skilled nursing services (i.e. nursing, physical or occupational Therapy) available should I need any? > How much coverage am I allowed for any outpatient therapy I might require? > Will the insurance company pay for any durable medical equipment (i.e. walker, toilet riser, crutches) for my surgery? (Unlikely). Medicare Coverage – Because many people have hip replacement when they are older, Medicare is frequently the insurance program used to pay the associated surgery costs. Medicare is a health insurance program generally for people age 65 and older. For information about your Medicare benefits, call 1-800-MEDICARE (800-633-4227) or visit medicare.gov. 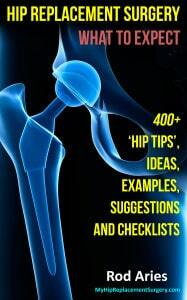 How Much Will I Pay For My Hip Replacement Surgery? You Can Pick One: $11,000 Or $126,000 – Arthritis Today reported in 2013 that the costs for a healthy patient without insurance could range from $11,000 to as much as $126,000. Additionally it was determined that average quote hip replacement surgery costs from top-20 hospitals ranged from $12,500 to $105,000. In the Seattle area for the year 2011, the Seattle Times found that local hospital charges varied from $30,000 to almost $90,000 for hip replacement surgery fees. If you are looking for a round number on the cost of hip replacement surgery, without complications, plan on about $60,000. The Real Reason Hospital Charges Vary So Much – So, the reason that hospitals can charge so much, or so little, for hip replacement surgery is because they can. Hospitals make up a charge schedule that is pretty much created on a whim. Hospital pricing is highly subjective and arbitrary and they can charge whatever they internally justify. Of course hospitals will add that the costs they charge represent the quality of car they provide and the associated expenses. Why Have A Vacation When You Can Have A Medcation? Another option if you are paying cash for your surgery and want to control your costs, is consider going overseas for the operation. This is called a medcation. The New York Times had an article about a person who selected a private hospital outside Brussels, Belgium, for $13,660 (2007 costs). This fee included the hip joint, all doctors’ fees, operating-room charges, crutches, medicine, a hospital room for five days, a week in rehab and a round-trip ticket from the United States. Hip Tip – You May Get What You Pay For: Evaluate what the true cost of the savings you may receive by going out of the country for the procedure. Hip Tip – Use A Comfortable Vehicle For Your Ride Home: You will probably need to factor in how uncomfortable your return flight will be in a cramped airplane seat. Probably a good excuse to stay at least a month in your selected destination. Hip Tip – Is That Seat Taken: Another problem with flying after surgery, especially if you have mobility aids with you, is you are not allowed to sit in the seats with the most leg room. Those are emergency exit seats and you have to be without physical limitations to sit there. Alrighty… that concludes Chapter 12.